Coach and Chef, these weren't included as part of the team but they were cool so I picked them up. 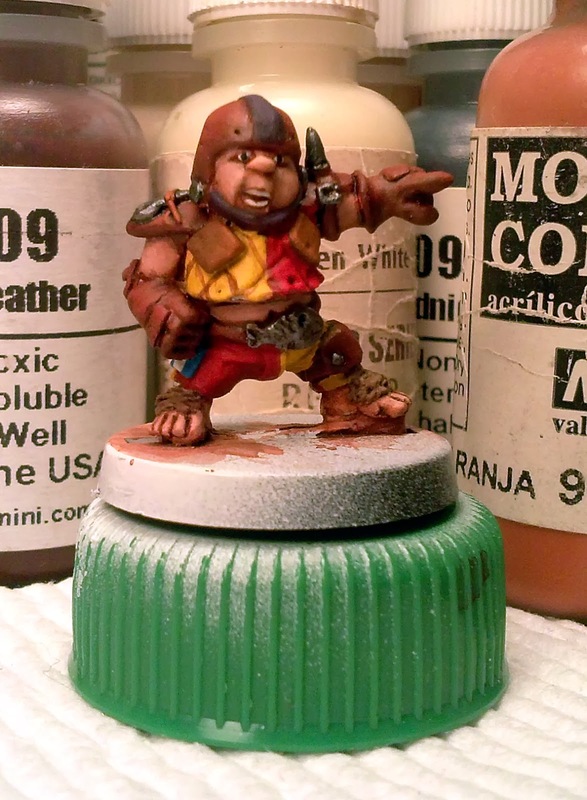 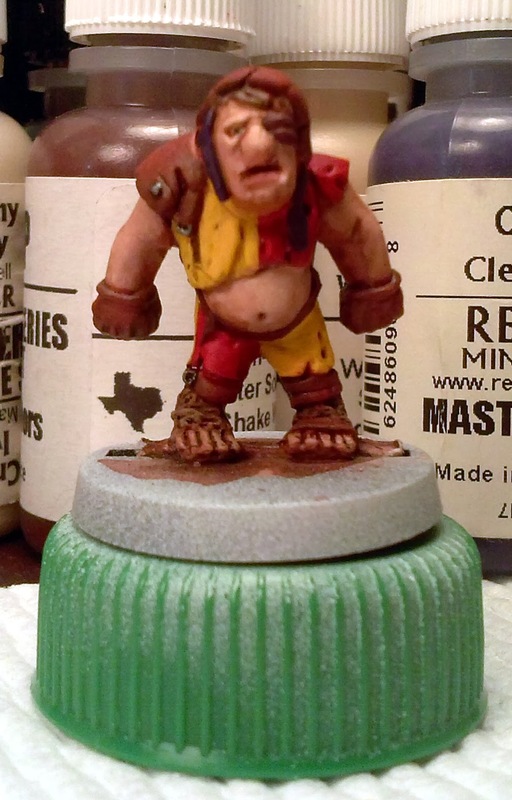 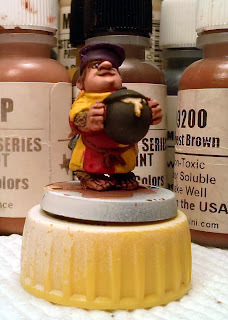 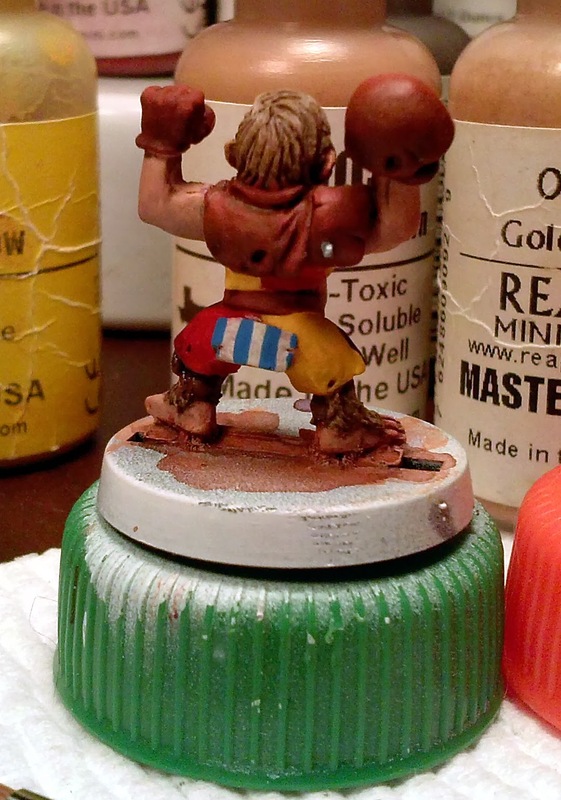 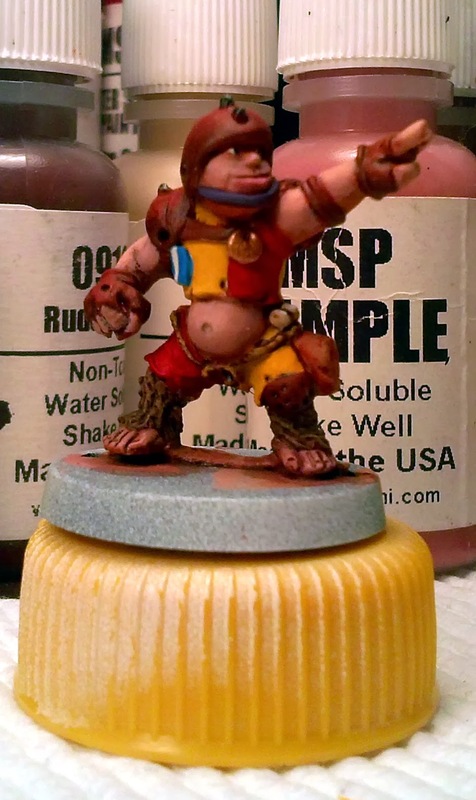 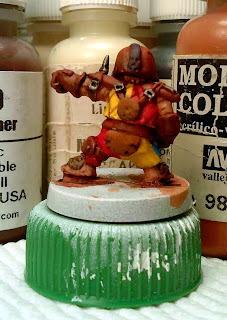 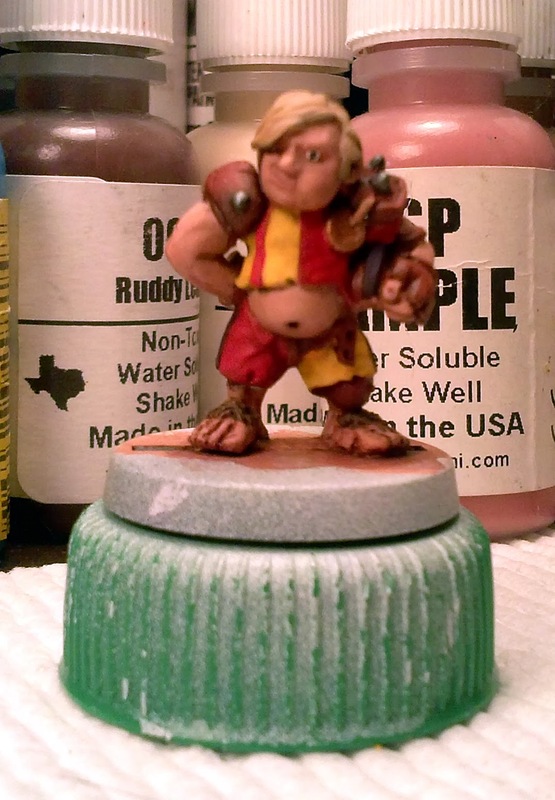 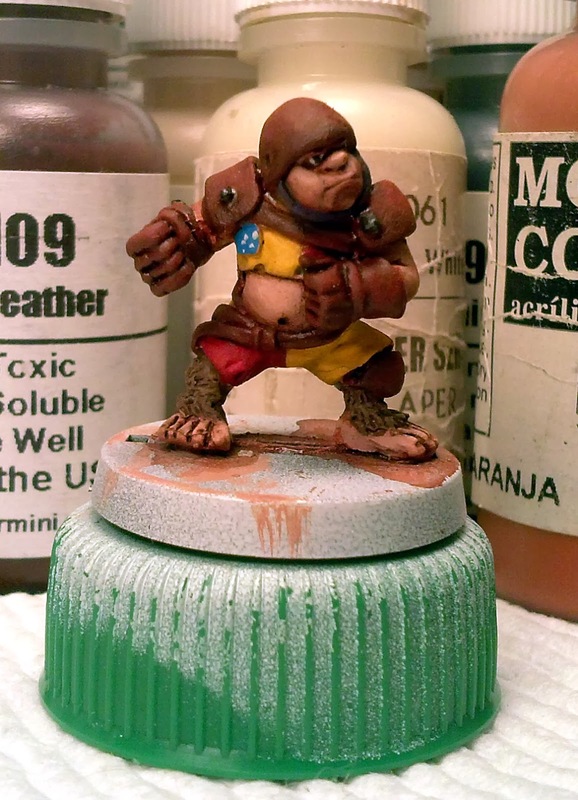 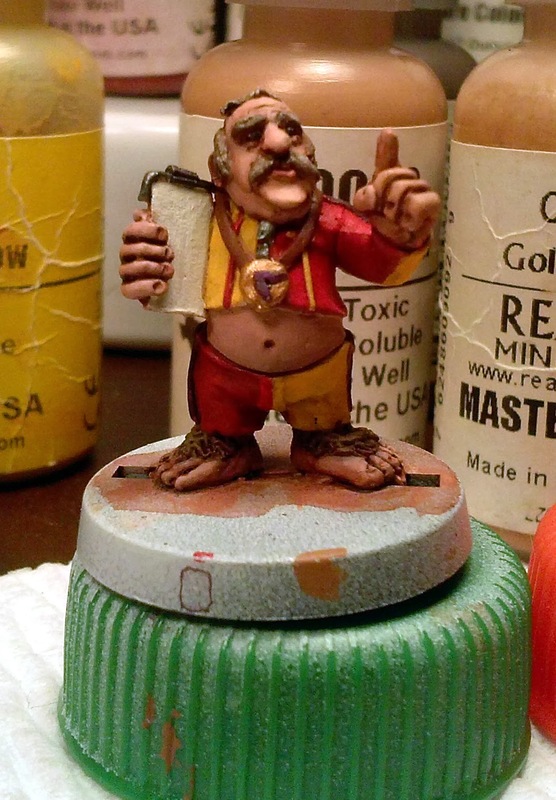 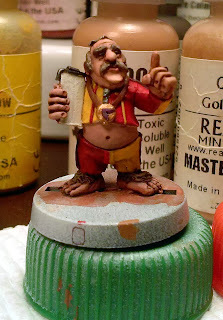 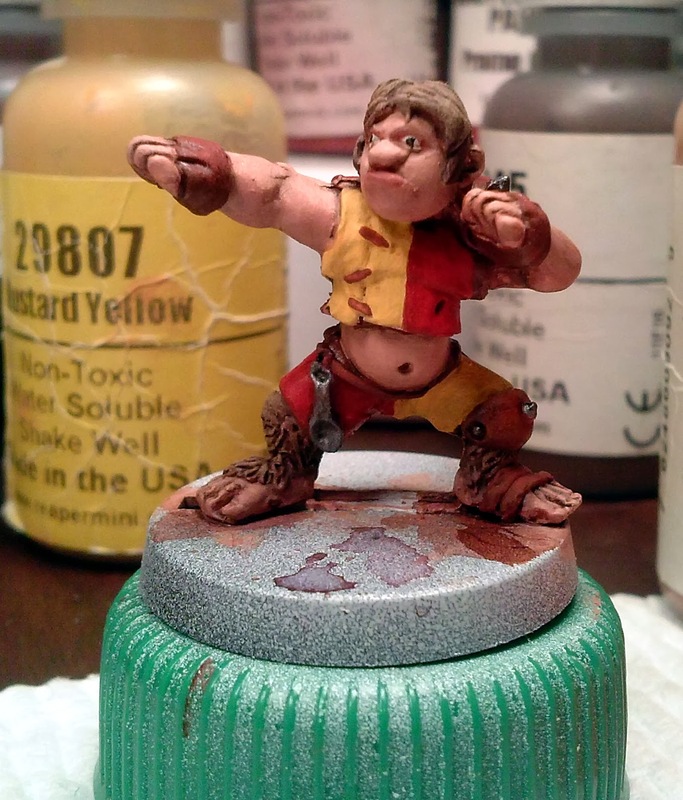 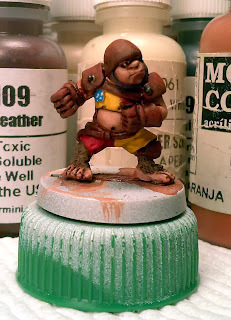 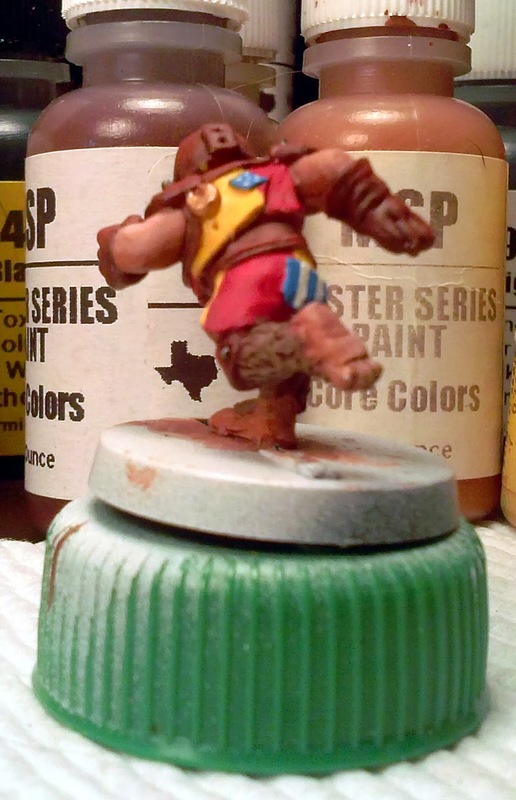 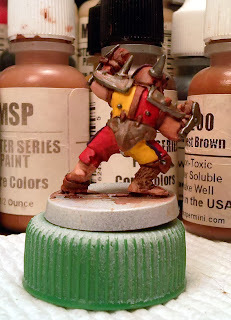 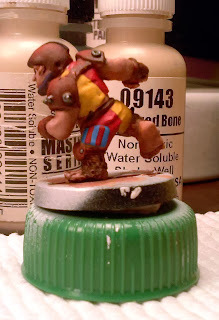 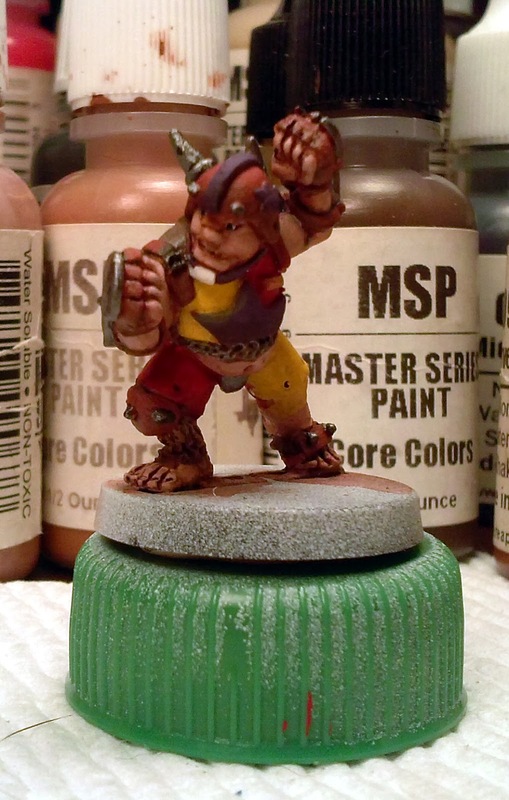 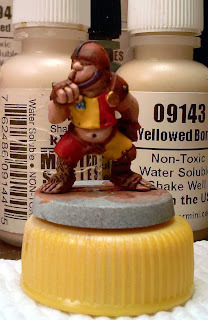 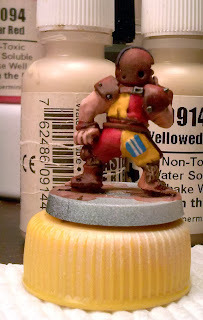 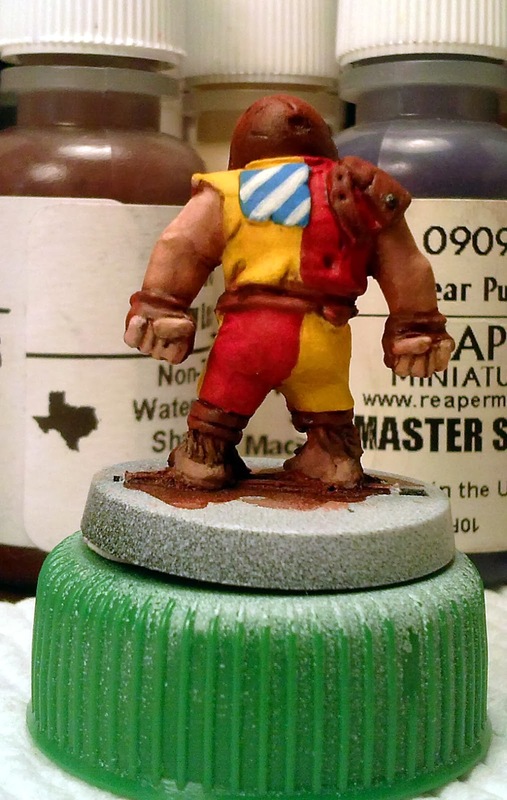 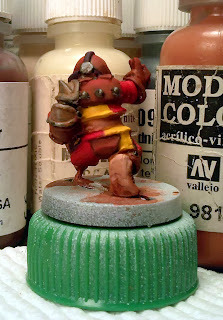 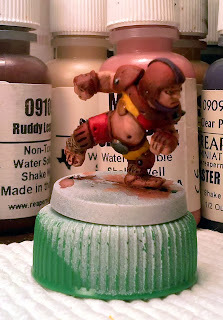 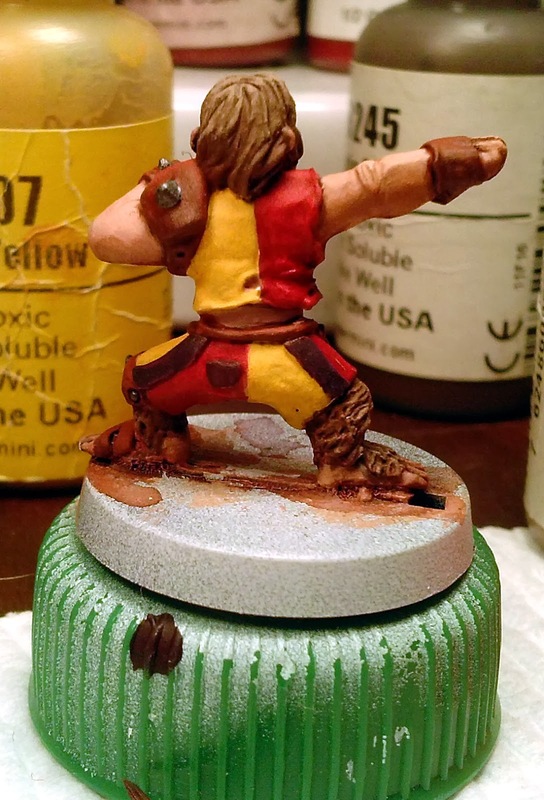 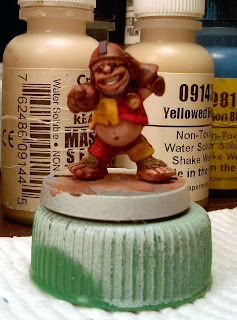 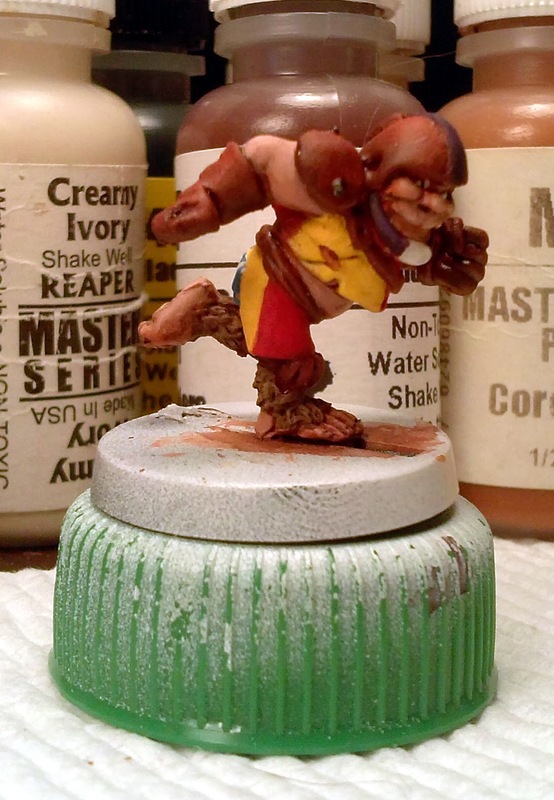 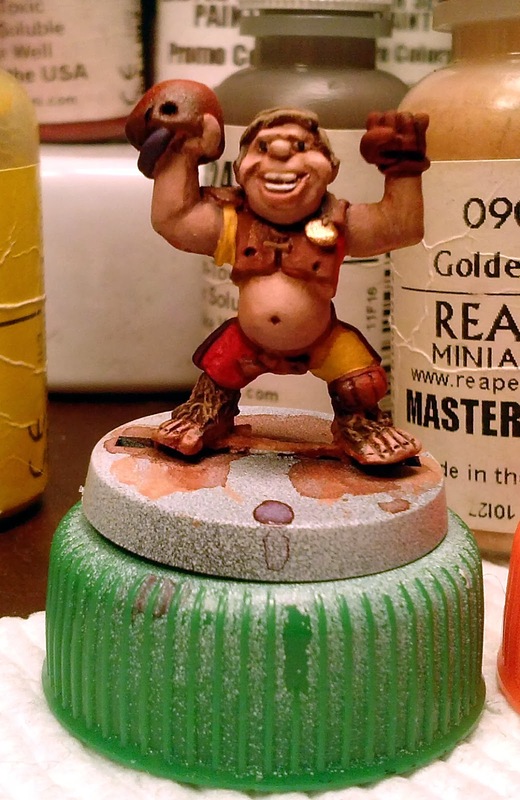 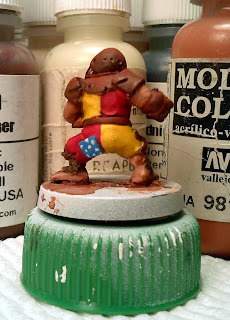 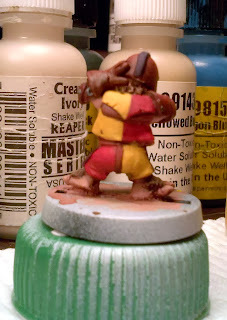 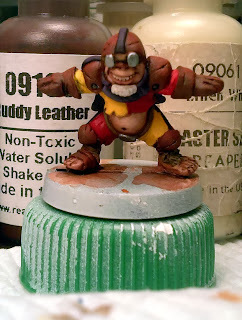 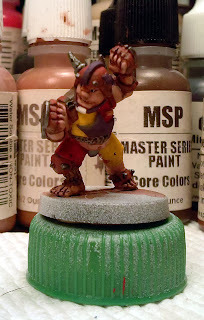 Still waiting on news from work so I was able to wrap up the painting portion of my Halfling Blood Bowl Team. I'll have to retrieve my basing materials from the house and get started on the three treemen that go with them. Are are a couple of group shots as well as individual shots. I could have spent a lot more time on these but they are good enough to game with and that's as far as I want to take them. 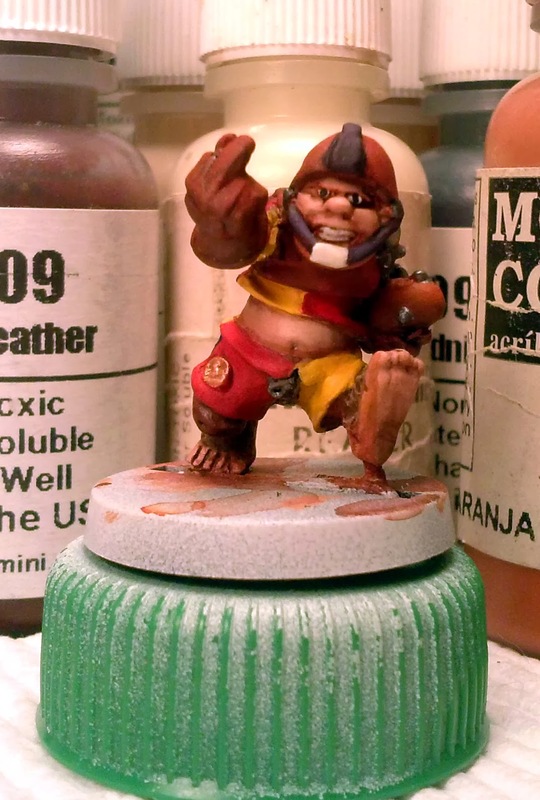 Work on the Halfling Blood Bowl team was rudely interrupted by a bunch of Marines marching through followed by a quick side trip for some citizens of Calamity. 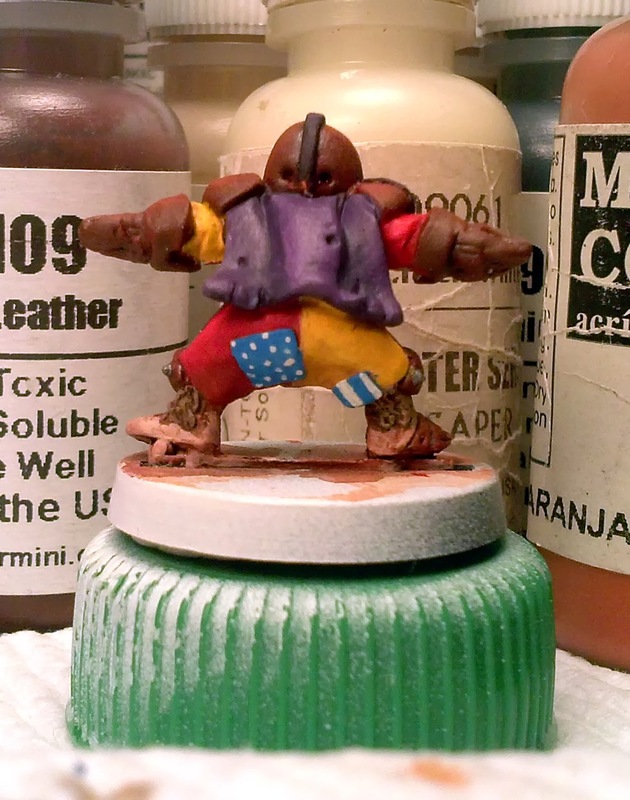 The Marines are ready to prime and Calamity has 8 newly painted citizens. Before the sidetracks I had painted the halflings about as far as I could with my normal assembly line methods. 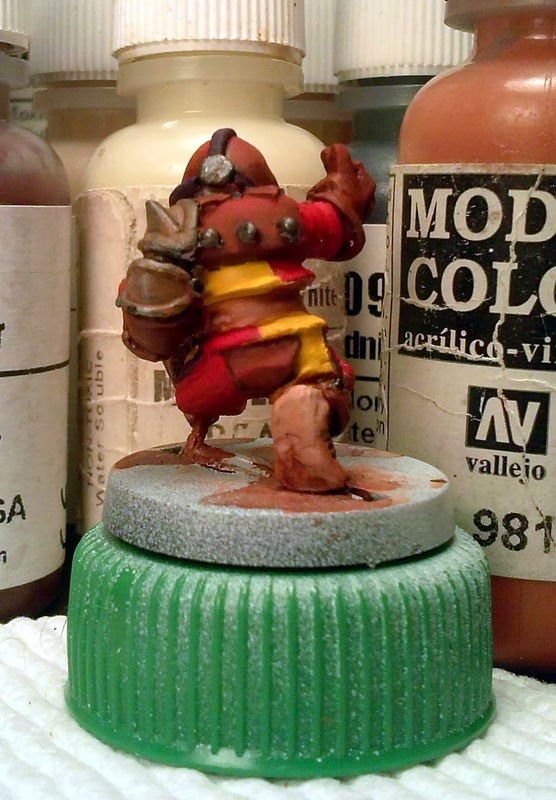 That was followed by traveling for work, so now its time to hit the picky detail stuff. 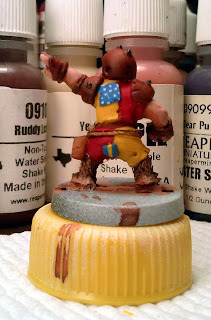 I have tidied up the red and yellow of all the uniforms and I think I have found all the spots I missed the first time through. Now I'm taking each one individually to finished. 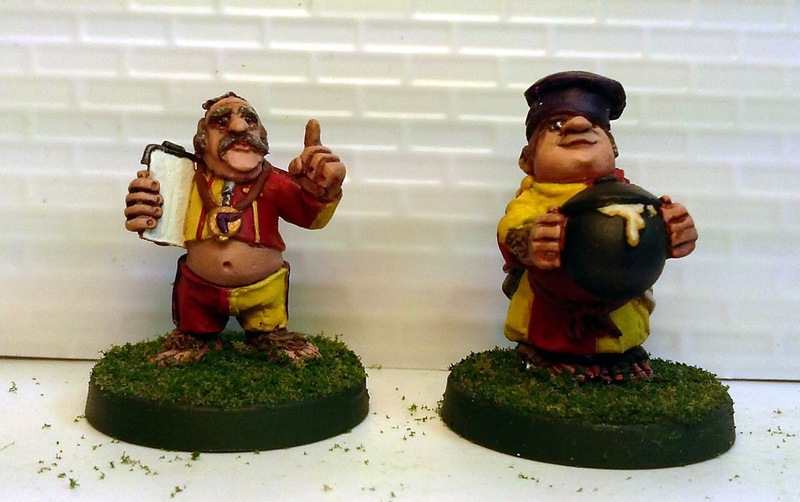 I finished three of the tonight; the Coach, Halfling #8 and Halfling #14. I'm using the numbers off of the picture that was posted on Indiegogo just so I had some way of telling them apart. So three done 15 more to go. Well and the treemen, I haven't even started those. 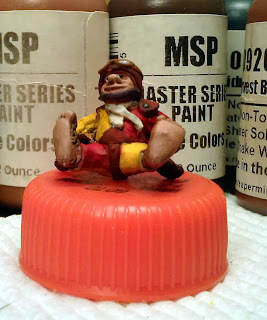 There is nothing like making a plan and then having it run afoul of impulse almost immediately. After deciding that I was going to work on my WWI Marines I had to make a quick decision on some minis to bring with me and work on this week. The Marines are not primed yet so they aren't ready for painting but there are about 40 western minis that are ready. 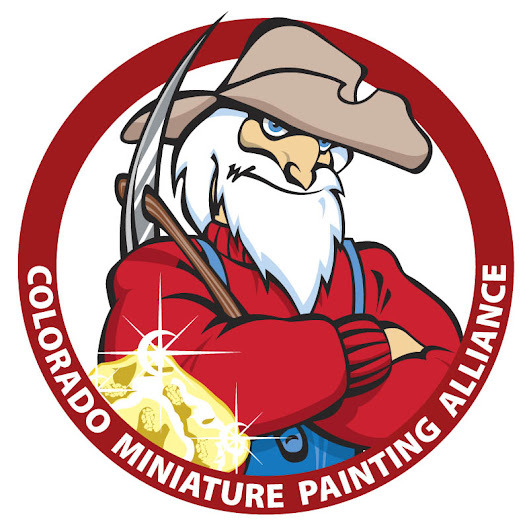 I picked out 8 minis to bring with me along with my halfling blood bowl team which is getting closed to finished. 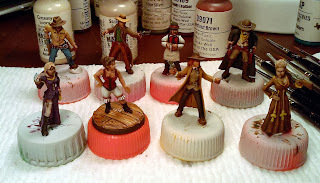 Over the last three days I have managed to paint all 8 of the western minis, and if that's indication I don't have enough miniatures to take me through the week. 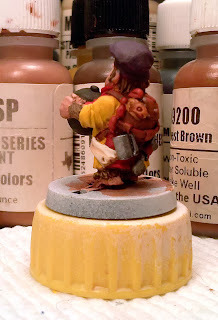 I really had a good time with the western minis, I forget how simple they really are. 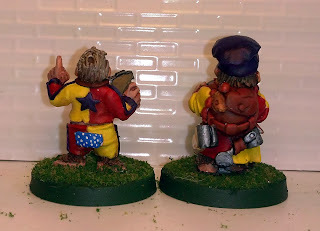 I painted them up to a reasonable game standard and they will, one day, grace the streets of Calamity. 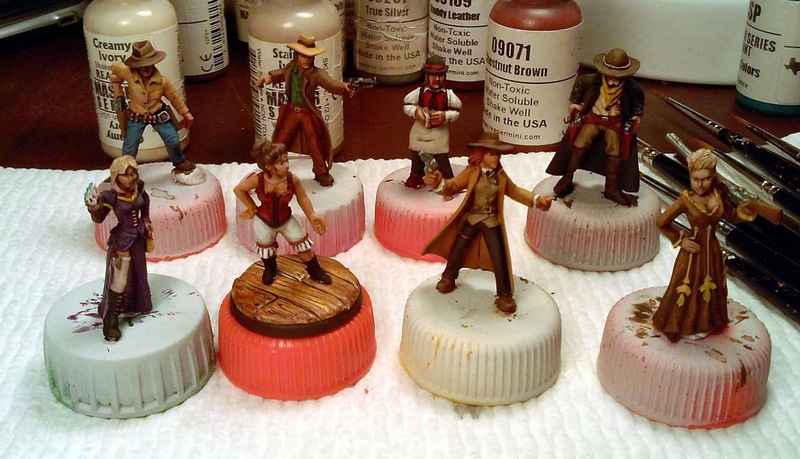 Since I don't have my basing materials with me I'm just going to show off a group shot. 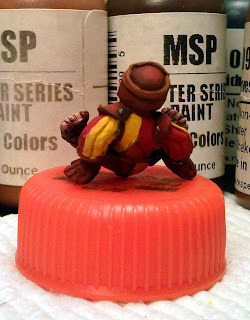 I'm not to pleased with the single shots right now so I'll wait till I have them based and re-take their photos. 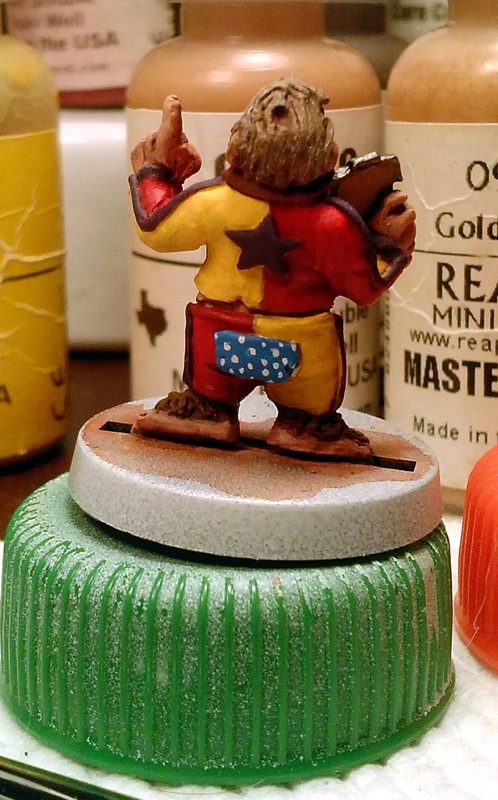 I'm thinking that at some point all the denizens of Calamity will have their own little background card which will include their picture.